Understanding your payment options is an important part of the overall home care puzzle. To help, we’ve outlined the ways most of our clients pay for skilled, personal and companion home care services below. In the last two years, Florida has deployed a Statewide Medicaid Managed Long-Term Care Program (SMMC LTC). This program is designed to meet the needs of aging residents in Florida needing long-term care, including care at home. To qualify for Medicaid you must be a legal Florida resident, be 65 years of age, or officially designated as disabled. You must also need “nursing facility level of care,” also known as skilled care, and meet the financial requirements for Florida Medicaid. Click here to visit Florida’s home care website and learn more about Medicaid qualifications. If you have a private long-term care insurance plan, these policies most often cover both medical and non-medical needs for people with a disability or chronic illness who need care for an extended period of time. Almost all policies cover home health care, and often from the first day you need it. At Sonas, we accept a majority of private long-term care insurance policies and will submit your paperwork for you to ensure it’s done right the first time. If you do not qualify for Medicaid or hold private long-term care insurance, you may have to cover the cost of home care out-of-pocket. We offer a variety of payment options to make private pay easy for you or your loved one including electronic payment services, online bill payment, and all major credit cards. If you have limited funds, you may qualify for governmental assistance through the Florida Department of Elder Affairs. For more information and to determine eligibility for home-based programs and services, visit their website at http://elderaffairs.state.fl.us/. If you or your loved one served in the military, you may qualify for home care services at no cost to you. We work with Aide and Attendance Benefit Experts to help you qualify. To learn more about VA benefits or eligibility requirements, visit the VA website at http://benefits.va.gov/pension/ or give our home care experts a call on our 24-Hour Home Care Hotline today. Thank you for your commitment and service to our country! If you have been injured on the job and need long-term care, workers’ compensation may cover the costs incurred for skilled home care. We will work with your case manager and employer to ensure you get the quality home care you need. At Sonas, we believe you shouldn’t have to sacrifice quality of care for budgeting purposes. That’s why we work closely with all of our clients and patients to ensure their custom care plan takes all factors into consideration, including financial aspects. 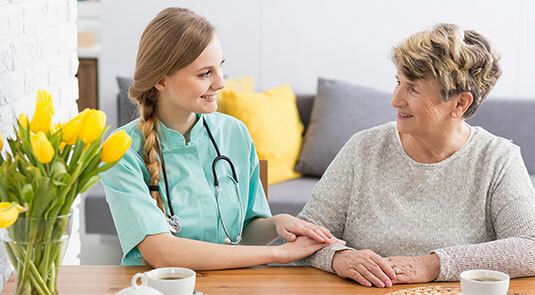 Listed below are some of the most commonly asked questions and answers about the financial aspects of how home care works when you choose Sonas. A: The exact rate depends on what relationship model you choose, the type of care you need, and your home’s location. To get a better budget estimate for home care services for you or a loved one, call our 24-Hour Home Care Hotline above to speak with a home health care expert. Q: What payment methods do you accept and when will I be billed? A: Our billing department sends out invoices weekly after reviewing your provided care. We accept payments by all major credit cards. A: Yes, we accept payments from many long-term insurance policies. Also, to make insurance easy, we handle the paperwork for you to ensure it’s done right the first time. If you have a long-term care policy and want to explore your options, contact us today and one of our insurance experts will be happy to help. Q: Will Medicare or Medicaid pay for my care? A: Medicare and Medicaid cover a limited amount of in-home care services depending on several factors, including what type of home care company you choose. Unfortunately, Medicare will not pay for registry services, but we do work closely with several local Medicare companies. If you think you may be eligible for Medicare or Medicaid assistance, call our 24-Hour Home Care Hotline. If we can help you, wonderful! If not, we will be happy to refer you to a Medicare or Medicaid provider who can. With a better understanding of the financial considerations of home care, it’s time to take action. When we have family and friends who are looking for the best care providers, we point them to the final section of our home care guide, Making the Decision. The next page was created to give you the tools you need to make the right decision for your family or loved one. How Do I Find the Right Company For Me?